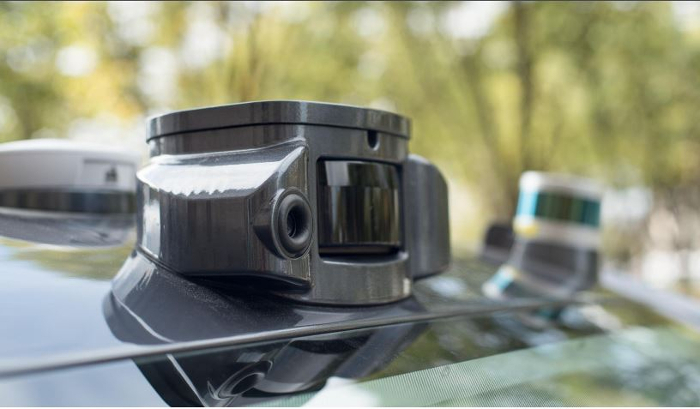 French developer of smart and shared mobility solutions, Navya, has become the first company commercializing fully-autonomous electric vehicles to submit a safety report to the US Department of Transportation (USDOT). 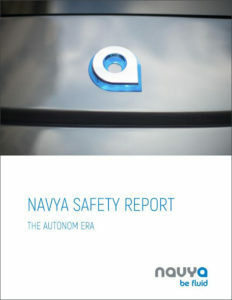 As a pioneer in the autonomous vehicle (AV) sector, Navya currently has sold over 100 of its Autonom Shuttles around the globe, deployed and operated by its customers, making it the first commercialized vehicle automation company to submit a safety report to the USDOT. 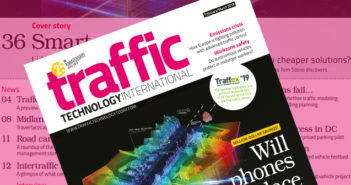 With a distinct focus on developing, designing and manufacturing vehicles to be used in shared mobility systems, particularly those involving ‘first mile – last mile’ solution deployments, the company’s report notes that it employs a team of over 250 engineers, designers and automotive technology experts dedicated to creating the safest, most advanced and sustainable vehicles available in the market. The Navya report is intended to address the recently updated framework covered in the USDOT’s ‘Automated Vehicles 3.0: Preparing for the future of Transportation’ guidelines, which outline the elements involved with the development, testing, safety and deployment of AVs. Since launching its first Autonom Shuttle in 2015, Navya has transported over 300,000 people safely to their destinations on both private sites and public roads. The company recently completed a long-term trial of its Autonom Shuttles in downtown Las Vegas in partnership with Keolis North America and the AAA, and is continuing a permanent deployment of Autonom Shuttles at the University of Michigan’s Mcity and North Campus. The Shuttle can transport up to 15 passengers and provides an excellent solution to the issue of short-range transportation, getting people to and from parking areas or public transit hubs where a traditional bus route would not be viable. In addition to the Autonom Shuttle, Navya unveiled its new Autonom Cab in November 2017 and debuted the Cab in the USA during last year’s Consumer Electronics Show in Las Vegas. Essentially designed as a ‘robo-cab’ for individualized routes transporting one to six people in urban areas, in either a private or shared mode, the Autonom Cab is on track to begin trials in France and Australia this year. Since its inception, the Autonom range has been comprised solely of vehicles designed without a traditional cockpit, meaning they have no steering wheel, or pedals. Headquartered in Villeurbanne, France, with Research & Development offices in Paris, Navya established its first North American manufacturing facility in Saline, Michigan, in 2018.